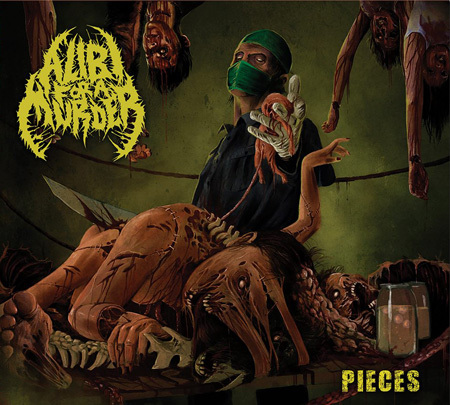 ALIBI FOR A MURDER | "PIECES" OUT NOW! 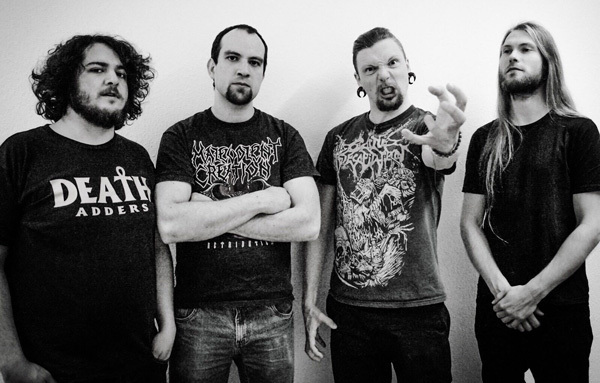 Alibi For A Murder is a Metalband from Warendorf(Germany) that plays fast and brutal Deathmetal with influences from Black- and Thrashmetal as well. Their first EP „Alienated Creator“(2007) and Album „A Moment Of Annihilation“(2009) got great reviews from major and minor metal magazines all over Germany that made Alibi For A Murder a strong name in the european underground metal scene. Today the band can already look back on many shows and a tour with bands like Resurrection, The Black Dahlia Murder, Job For A Cowboy, All Shall Perish, Despised Icon, Cephalic Carnage,Warbringer, Sworn Enemy, Solace Of Requiem and many more. Alibi For A Murder is a band that really lives for the stage and that unleashes a shitload of energy live. You'd better visit one of their shows to get an impression of that metal powerhorse.